Omar Mateen with his wife Noor Zahi Salman and their son. Federal officials confirmed to NBC News Tuesday that Mateen purchased three tickets — for himself, his wife, Noor Zahi Salman and their son — to visit his mother-in-law, who lives in the Bay Area suburb of Rodeo, California on July 14. But on June 12, he killed 49 people and injured dozens in what is the worst mass shooting in modern U.S. history. Two officials told NBC News that after the shooting, Salman called the airline and sought a refund for the trip to San Francisco. Salman allegedly told the airline that, because her husband had died, they would no longer be making the trip. Salman’s mother, Ekbal Zahi Salman, recently had an operation and was not getting better; the family was planning on spending an extend period of time with her, NBC News reported. Just two day before the attack, the gunman bought plane tickets for his family to travel to San Francisco next month. Bob Redell reports. A source close to Noor Salman said she was not successful in trying to refund the tickets, which she attempted to do after being meeting with FBI investigators, and notifying them about the travel and her plans to try and refund the tickets, NBC News reports. Salman told the FBI she was with Mateen, when he bought ammunition and a holster, several officials familiar with the case have told NBC News. 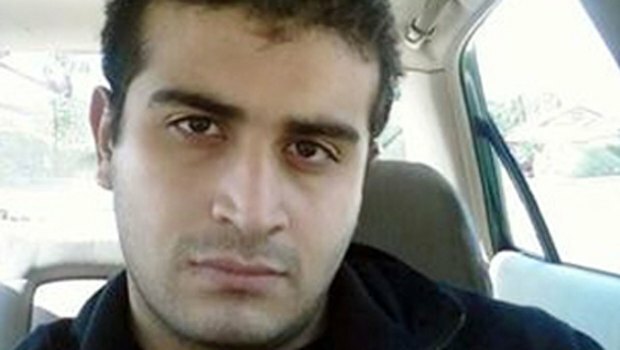 She also apparently told the FBI she once drove him to Pulse nightclub, because he wanted to check it out. Salman, who told the FBI she tried to talk her husband out of the shooting, is not facing any charges at this time for failing to report her husband to law enforcement. She continues to cooperate with the investigation. A source close to the family told NBC News Mateen sent his wife a text message during the rampage, asking her, "Do you see what's happening?" After swapping texts, she tried to call him. A source close to the family said Mateen sent his wife a text message during the rampage, asking her, "Do you see what's happening?" After swapping texts, she tried to call him. Her mother’s neighbors in Rodeo, 45 minutes from San Francisco, have told NBC Bay Area that Salman was the daughter of Ekbal Zahi and Bassam Abdallah Salman, who died of a heart attack several years ago. The couple has three other daughters — the youngest is 14. Salman's mother still lives at the home with her youngest but has not spoken out publicly about the shooting. Rodeo neighbor Sarwan Kaur said Mateen apparently wouldn't let Noor Salman's mother visit her in Florida. "Like, even when she was in the hospital, her husband wouldn't let her come see her own mother," Simrat Chahal said on behalf of his grandmother, Kaur. NBC News and Pete Williams contributed to this report.